“Heat up” from the inside out with this winter with Thermogenic Foods . 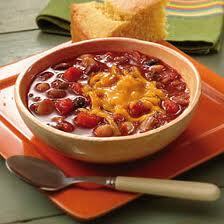 A hot bowl of chili is a common winter food. But do you know why? Lean protein and cayenne pepper as well as salsa, chilis and mustard are thermogenic foods. Thermogenic foods & spices – if you have even heard of them – have gotten most of their “press” by being known as fat fighting foods during dieting. Foods that can be listed in the thermogenic category love to get rid of the stored fat. After eating food; energy is required to process it. This increase in metabolic rate is referred to as the ‘Thermic effect’ (TE) of food or ‘Diet induced thermogenesis’ (DIT). Here’s where the diet thing comes in. Some scientists suggest that planning meals based on this concept may help you to control your weight. But we are talking northern winter here…. burning fat is a great thing for most of us but, here we are, mid winter looking for a few more blankets! All together it is a great package. Being inside more our metabolism gets more sluggish from decreased activity so the increased metabolism/burning calories/heating us up a bit is a terrific deal! What are some more T foods? Some of the foods are ones you might guess. Cayenne pepper, hot peppers, chili powder, ginger and mustard. Green tea, parsley, apple cider vinegar, celery, cabbage and brussel sprouts are some that you might not guess. Even more are salmon, berries, chili powder and lemon squeezed into a glass of water. For all you farm to fork people, you gotta love this, one of the best examples of a thermogenic food is lean protein! Chili with grass fed beef – wow! As a rule, these foods stimulate metabolism, improve glucose levels and remove water weight. Oxford Polytechnic Institute proved that cayenne pepper stimulates the metabolism approximately 20%. It not only stimulates the body’s metabolic rate, but also cleans fat out of the arteries. British investigators added ordinary mustard to a meal, causing the average metabolism in 12 subjects to shoot up 25%! And don’t forget garlic, great for cold and flu prevention too. Even grapefruit and oatmeal are on the “list”. Eating porridge with a grapefruit in the morning may be more beneficial for us in winter than we think. Here’s more thermogenic foods with added benefits : cinnamon, cloves, turmeric and bay leaves actually have drug-Iike properties that help us handle the sugar in sweets. So French toast or cookies with cinnamon may balance that insulin level. Salmon, parsley, tuna and tumeric are even more. I guess with all this said, an addition of Indian style foods more often would be a “hot” thing to do during the winter time. Coconut oil is SO on the list. It is a great winter time addition to your diet. Not only does it increase metabolism but has wonderful nutritional value as well as giving a boost to your immune system. Coconut oil is so good that it deserves its own article. I have a friend that swears his wife is in a much better mood when she adds coconut oil to her diet in winter! Ever tried homemade French fries in coconut oil ? A treat not to be missed! My kids just love these and won’t let my husband buy frozen french fries ever again!